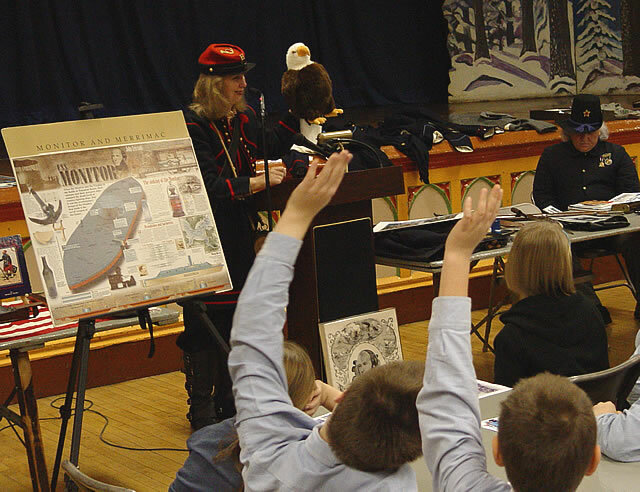 The Greenpoint Monitor Museum "Road Show" St. Stanislaus Kostka School January 23, 2006 OLD ABE the eagle was the mascot of the Eight Wisconsin Volunteer Infantry. He was in 37 battles. OLD ABE the eagle was the mascot of the Eight Wisconsin Volunteer Infantry. He was in 37 battles.